Hey Everyone, are you eagerly seeking for the DOT Lower Division Clerk Recruitment 2018? Here, in this article, we are going to share each and every information about the DOT Assistant Accounts Officer Vacancy 2018 in the following section of the article. Interested & eligible aspirants who want to do a work in Department of Telecommunications they must read this article attentively and grab all the vital details from here. Contenders may apply for this DOT Notification 2018 through the offline mode from the official portal of Department of Telecommunications which is www.dot.gov.in. For fetch more details, scholars may visit our careerjobs360 website & stay connected with us & gets all the latest updates from here. The Department of Telecommunications has recently circulated the employment advertisement for DOT Notification 2018 for the placement of passionate and eligible aspirants for filling up 43 posts of Lower Division Clerk, Assistant Accounts Officer & Junior Accountant in the Organization. The Department of Telecommunications is looking for the well-educated youth for various empty posts in the organization. 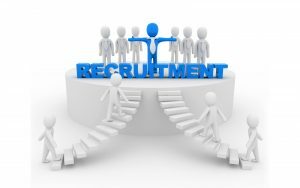 Job Entrants who want to do a job in DOTS then they may apply offline for this DOT Lower Division Clerk Recruitment 2018 from the official web portal of the department. All the eligible candidates may fill and submit the offline application form on the given postal venue on or before the deadline date which is 09th April 2018. Further details about the DOT LDC Jobs 2018 such as Academic Qualification, Age Limit, Age Relaxation, Selection Procedure, Pay Scale, Application Charges, Important Dates, and How to apply offline etc are provided below in the post. All the contenders must read this article till this end. For Lower Division Clerk (Group C) Post: Candidates Must be holding analogous posts in Central/ State Govt. Depts/ Ministries/Autonomous Bodies. For Junior Accountants (Group C) Post: Candidates Must be hold analogous posts in State or Central Govt. Department or Ministries or LDC along with 8 years of regular service or UDC’s with 3 years of regular service. For more details candidates must visit the official notification of the recruitment. Age Criteria: Check the official notification. Age Relaxation: Upper age relaxation will be applicable for the reserved category as per the govt. rules and regulations. Application Form Charges: All the aspirants must have to pay application form fee which is prescribed by the department. For more details, aspirants must have to visit the official advertisement for more details. Here, we are providing some easy steps for applying for the posts easily. All the applicants must follow all the given steps & then apply to fill the application form. First of all, the candidates need to open the official website of the Department of Telecommunications that is dot.gov.in. On the homepage of the website, find the official notification for the DOT LDC Recruitment 2018. Save and read the notification carefully before going to any further process. Fill all the details in the application form very carefully without making any mistake. Paste the recent passport size photograph and signature and the scanned copies of the required documents. Send the application form to the given postal address after rechecking the details. Keep the hard copy of the form safely for any future use. The Department of Telecommunications has recently revealed the employment notification for DOT Vacancy 2018 for the placement of passionate and eligible contenders for filling up 321 posts of Assistant Director & Junior Telecom Officer in the Organization. The Department of Telecommunications is searching for the well-educated youth for various vacant posts in the department. Job Aspirants who want to do a job in Department of Telecommunications then they may apply offline for this DOT Assistant Director Recruitment 2018 from the official web portal of the department. All the eligible Individuals may fill and submit the offline application form on the given postal address on or before the end date which is 5th March 2018. Further details about the DOT Junior Telecom Officer Jobs 2018 such as Academic Qualification, Age Limit, Age Relaxation, Selection Procedure, Pay Band, Application Charges, Key Dates, and How to apply offline etc are mentioned below in the article. All the aspirants must read this article till this end. The Department of Telecommunications is a department of the Ministry of Communications of the executive branch of the Govt. of India. Telecom services have been authorized the world-over as an important tool for socio-economic development for a nation & hence telecom infrastructure is treated as a vital factor to realize the socio-economic goal in India. As per, the Department of Telecom has been formulating developmental policies for the accelerated growth of the Department of Telecommunications services. The Department of Telecommunications is also responsible for grant of licenses for various telecom services such as Unified Access Service Internet & VSAT service. The Department of Telecommunications is also responsible for frequency management in the field of radio communication in close coordination with the international bodies. Academic Qualification: Interested candidates please check the official notification for education qualification details. Age Criteria: Maximum age limit of the scholars is 56 years of age. Age Relaxation: Upper age relaxation will be applicable for the reserved category of candidates as per the government rules and regulations. Application Form Charges: All the candidates must have to pay application form fee which is prescribed by the department. For more details, candidates must have to visit the official notification for more details. Selection Criteria: Selection of the candidates will be done on the basis of their performance in the various selection rounds which is going to be conducted by Department of Telecommunications. Selected aspirants will get the best amount of salary scale which is given in the below article post wise.